Rachel Kraan is a Senior Consultant within the Care Home Management Division. 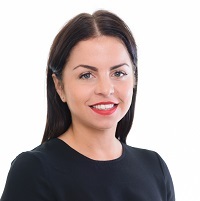 Rachel has over 4 years experience working in the Elderly sector specialising in Home and Senior Management appointments across London, East Anglia and Home Counties. Rachel is a regular attendee at industry events, forums and award shows ensuring that her network is current, relevant and highly talented to meet the increasing demands of strained providers. Rachel is well positioned to assist clients and candidates utilising her experience to deliver on even the most complex and time critical assignments. I have worked with Rachel for around 11 months now, both being recruited by her, and having her recruit for me. I cannot recommend her highly enough, she is extremely professional and always provides an exceptional service, in terms of both actively recruiting, and providing an excellent after-service. Rachel at Compass always finds us great quality candidates and liaise so well when arranging interviews, they always follow up and support our recruitment efforts for which I am always grateful. Rachel was always available to answer any queries when she wasn’t on duty she made sure there was someone else available to contact me on her behalf. Rachel has always been great to work on vacancies with as she will take the time to fully understand our exact requirements and find out the type of person we are looking to recruit. She always keeps me up to date at each stage of the recruitment process, including follow up calls after the candidate has started to ensure we are happy. I always know that even if we don’t fill a role through Rachel I am given 100% by her and I couldn’t ask for a more attentive service. Rachel is a brilliant recruiter – professional, thorough and consistently going the extra mile. I have been particularly impressed by her not swamping me with CVs but only forwarding those of people who were likely to be a good fit. Some of the skills required for specific roles can be hard to come by but Rachel continues to proactively hunt for suitable candidates. As a Senior Consultant, I believe that Rachel is excellent at managing a team and ensuring that the most suitable consultants are tasked with finding the best candidates for each role.